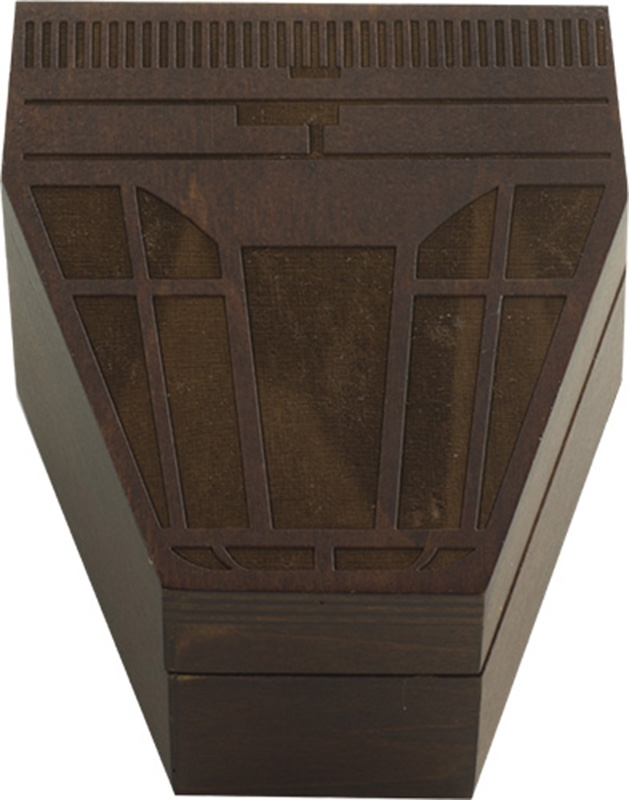 EFX brings you the only officially licensed prop replica of the Han Solo dice from the Star Wars saga! EFX was given access to the screen-used prop, and generated the master pattern from a digital scan and extensive research of the screen-used prop making it the most accurate replica of Han Solo’s iconic dice down to the hanging chain. 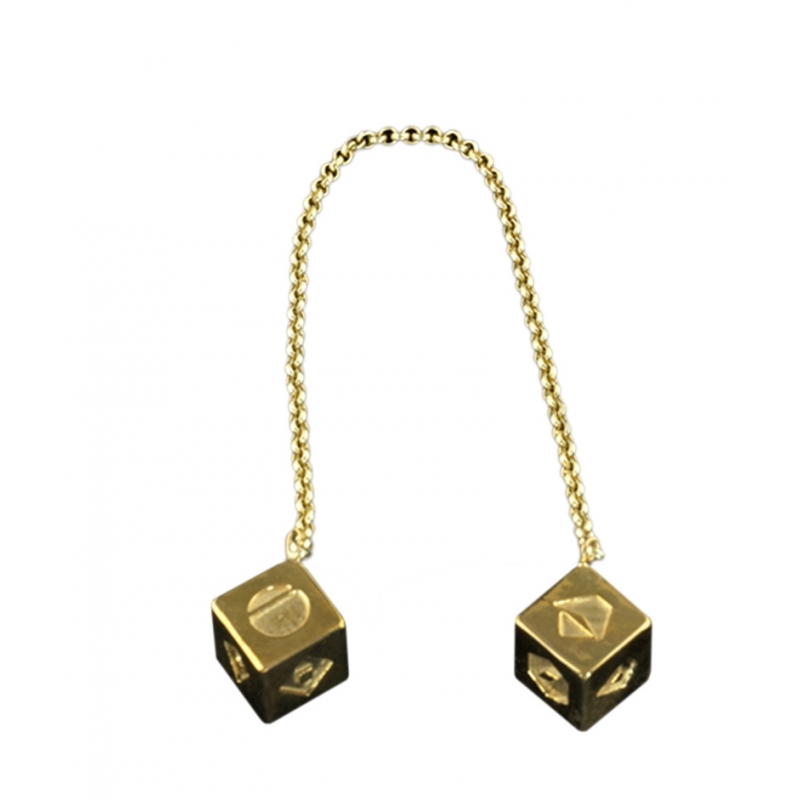 The EFX engineers, model-makers and artists have painstakingly produced a faithful prop replica of this iconic pair of dice. The dice first appeared in Star Wars: A New Hope aboard the Millennium Falcon, hanging from where a rear-view mirror might be in a real world vehicle. However, the dice were not seen in Star Wars: The Empire Strikes Back or Star Wars: Return of the Jedi. The next on-set appearance was documented in production stills from Star Wars: The Force Awakens™, but, the scene where the dice were visible was edited out of the final cut. The next time they were featured was in Star Wars: The Last Jedi. From its incidental beginnings in Star Wars: A New Hope, as a simple set-dressing embellishment in the Falcon set to a relevant piece of the narrative in Star Wars: The Last Jedi, Han Solo’s lucky dice symbolize the continuity and connectivity of the Star Wars galaxy and its characters. That association is highlighted when Luke Skywalker boards the Falcon and takes the dice as a reminder of his fallen friend, Han Solo. And at the end of Star Wars: The Last Jedi, Luke appears to give them to his sister Leia as a memento. Ultimately, the errant Ben Solo, now Kylo Ren, picks up the phantom dice, suggesting that his connection to the past has now disappeared.